Find a good electrical quick reference that’s easy to understand. 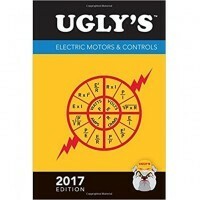 Ugly’s Electric Motors & Controls is a great choice because it covers electrical controls topics most people care about, but doesn’t overwhelm you with too much detail. Click on the picture to see it on Amazon. Find a good mentor that will work with you. A Master Apprentice relationship is the best way to learn about anything, including electrical controls. Learn from a master and from the experience of doing. The Master’s role is to teach you and guide you through the experience of making a series of small mistakes. You learn by doing. If you have immediate electrical controls questions give us a shot. We don’t mind taking the time to try to help you. We’ll gauge your knowledge level and discuss topics using terminology we both understand. The posts below cover frequently discussed topics or questions using simple language. If you want a more give us a call. What Does UL508A, NEC, NEMA and IEC Mean?